How difficult is the process of preserving an authentic version of the tragic events of the past? What are the effects of a traumatic past on its inheritors? And what are the second generation's responsibilities to its received memories? . . . 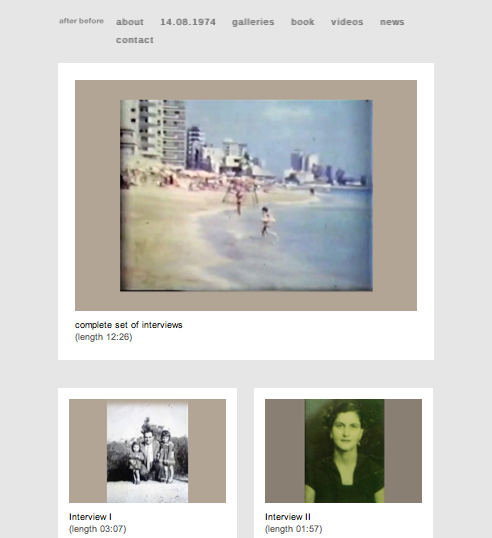 The particular project consists of a body of work made up from archives of family photographs, interviews and portraits of refugees, images of the family belongings saved, double exposure images and collages; all focusing on the engagement with the losses of the past. These events happened back in 1974, but their effects continue into the present.